We just learned about the Mexico state of Campeche. 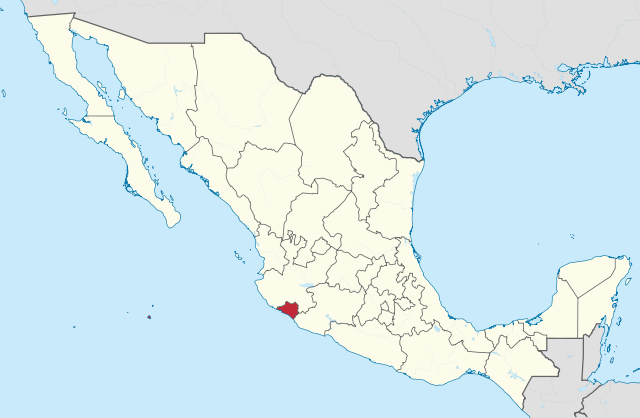 Another Mexico state is Colima. This is one of the smallest states, and has the least number of people living in it of any Mexico state. It is on the south west part of Mexico, right on the Pacific ocean, and it has four islands off its coast. The coat of arms of Colima is an arm for the strength of the elders who ruled the Mayan people. There are jaguars, palm trees and volcanoes for the things in the area. The words on the bottom are "El temple del brazo es vigor en la tierra" which means "The arm's steadiness is strength on the land". There are four islands off the coast of Colima, called the Revillagigedo Islands. These are volcanic islands, with lots of marine life and natural beauty. No one lives there, but sometimes people come to go scuba diving or learn about nature. One of the busiest cities in Colima is Manzanillo, where a lot of people go for fishing. They call themselves the sailfish capital of the world. Tecomán is the capital city of Colima, and has many nice buildings like the Cathedral of Santiago Apostol. 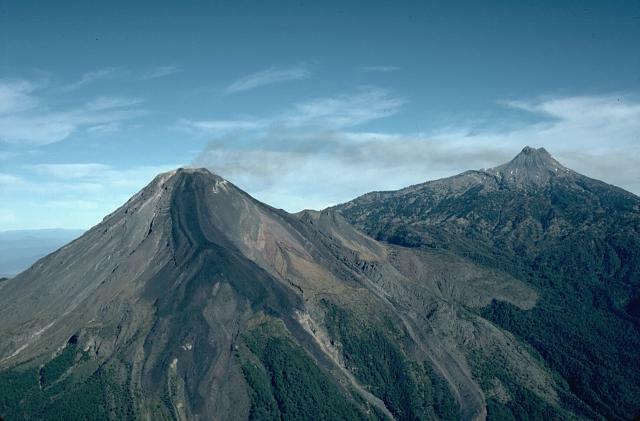 There are active volcanoes in Colima, like the Volcán de Colima which is one of the most active volcanoes in North America. It has erupted more than 40 times since 1576.